I am revisiting an article I wrote nearly a year ago about a subject close to my heart and which will not go away. I do so, having been challenged by a friend and an article titled: “Don’t demonise beggars. 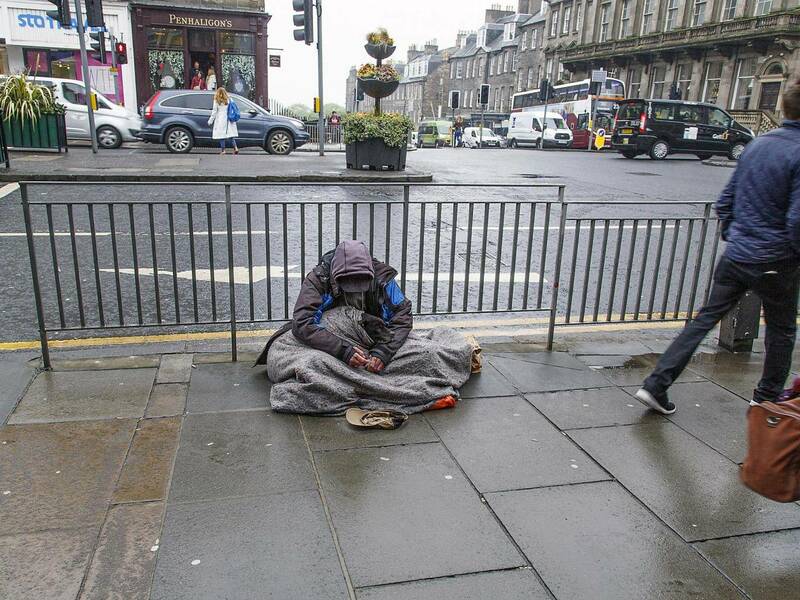 It won’t solve the problem of homelessness“. I first come across street beggars when in my younger days I did my world travels and was asked (likely because I was seen as foreign and a ‘soft touch’) for money by people looking suitably bedraggled. It was only later I encountered the phenomenon in the UK, and it seems in recent years this is a lot more in your face. Sometimes people are just there and don’t ask but sometimes they do, and occasionally aggressively, although in fairness the few who do ask are often respectful, who politely respond to a polite refusal. Such is the homeless paradigm we are now in, and it is becoming worse, for we see street homelessness on the rise, 100% in the past 10 years. For most of those “beggars” are homeless, almost homeless or pretending to be homeless, and for most of us who know little of nothing about that person’s circumstances, we are caught in a dilemma when it comes to responding in a compassionate and responsible way. But the big question we face: do we are do we not give money to those who ask? Opinions are divided on the matter. I get it that there are those who say give and it is not for us to prescribe or judge. Two well written recent articles got me thinking on what I might advise: “My cousin and the bitter cost of drug addiction” and “Is begging just a scam or a lifeline for those most in need”, along with articles touching on the subject, including more recently: “‘Aggressive beggars terrorise our streets’”. The question of whether or not we should give to beggars is not one of those that lends itself to a clear cut yes or no answer. What I will do is say what my approach is and how I respond when people ask me the question (as often happens). I realize to give money is an easy response and one that can absolve one from feelings of guilt. But is it wise or even helpful in the wider context, and is there a better way? These days when I go to the town I try to allow more time because there is a good possibility of my bumping into a homeless person, including among the growing band who I have met previously, and there are more and more of them. Last Saturday, for example, I saw a few in the doorway of the old Post Office in the High Street, who I did not engage with other than giving a respectful acknowledgement, something I encourage others to do because the most important yet simple thing we can do is affirm a person’s dignity. Later in the evening, on my way to our Soup Kitchen, a saw someone sitting in a doorway who I did not recognize. I decided to engage and a short conversation ensued. I invited her to our Soup Kitchen and later on she turned up! So this is what I say when asked for money (I don’t recommend being so brutal but suggest there are points that could be adopted)… Hello, I’m John, and you are? Ok Fred this is the deal. I don’t give money on principle, because many who do ask aren’t genuine (i.e. cons), spend it on the wrong things e.g. alcohol, drugs, or accentuate an issue resulting in police moving on those who are in need. I will then … (depending on the circumstance, the situation etc. buy a tea and/or burger, refer to a place where pre brought teas can be claimed, talk about the services on offer, often referring to services etc. contained in the Rough Sleeper leaflet I help produce, which are many). I chat further if they want and I have the time etc., always trying to reinforce their humanity, shake hands and move on. If it is someone new to the streets and may not have been reported I might report to Street Link (see here), the idea being that outreach services may then be notified and practical assistance will be given. I haven’t done a rigorous analysis of the overall rough sleeper / beggar profile on the street, but those who have often conclude there is a class of people that we might call “professional beggars” who aren’t homeless and who use the good will of the public to get money, often to be spent on things like drink or drugs. Some who are genuine will spend that money anyway on such things, knowing there are many other avenues they can exploit to get food, clothes etc. Sadly, it is true beggars, particularly aggressive ones can be problematic insofar police are obliged to act and this might include moving on the genuine homeless or scaring them away. Yet these are our fellow citizens and it is right to show compassion. I should add: while there are many kind people, there are horrible ones too, who abuse the homeless, illustrating the dangers of rough sleeping. I should also add that compassion is not constrained by religion or politics. While it is true that many of the responses I am involved with are Christian led, not all are and even the Christian ones involve and serve those of all faiths and none, and it is always a humbling and usually an edifying experience to work alongside those who do not share my religious or political views ranging from left of Karl Marx to right of Genghis Khan. I was saddened to hear of one well known conspiracy theorist, who I follow, lament the fact that his group had gone out of their way to raise money for a homeless charity but that money was refused because they didn’t want to associate with him. Instead he chose to cut out the “middle man” and give direct to those who claim to be homeless. I was sad because the rejection and the solution were both disappointing. There is no simple solution to preventing people from sleeping rough. In my Homeless Reflection e-book I reflect on the various challenges raised because of and complexities around homelessness. I suggest there are a number of things we can all do, even if “helping the homeless” is very much a side line activity. I encourage folk to consider their response, and while there may be exceptions, I usually suggest to them it is best NOT to give money to beggars.